The mouse and keyboard are a staple of gaming, one that exemplifies accuracy in shooting, and terrible movement controls. Being able to bind key inputs to the many buttons on a keyboard is nice, but they’re not exactly perfect. 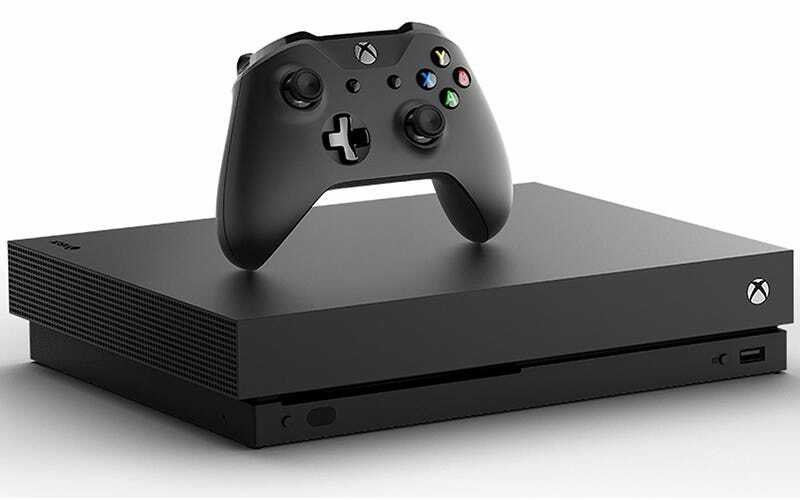 On Feb. 19, Microsoft corporate VP addressed the company’s beliefs on the use of mouse and keyboard adapters for the Xbox One, saying the decision to block the control system is up to developers. This laissez-faire approach to third-party controls is intelligent, because it gives games the options they deserve. The idea of banning adapters such as the XIM or Cronus Max from the Xbox One platform completely would be nonsensical. Taking away this control schemed would only inconvenience gamers who play single-player or co-op games with mouse and keyboard. Microsoft’s decision to give control to the developers is better for gamers and developers alike. Through API’s developed by Microsoft themselves, developers can disable and enable the use of third-party controllers at will. This means that in games like Grand Theft Auto or Fallout, where gameplay is predominantly single-player, gamers can have fun with their controller of choice. And on the flip-side, this also means players in PlayerUnknown’s Battlegrounds (PUBG) won’t have a massive leg up in terms of the competition. It is undeniable that in first-person-shooters, a mouse is always going to be more accurate than an analog stick. A mouse allows precise movements whereas analog sticks are floaty and don’t replicate the “point and shoot” mentality that makes aiming with a mouse so intuitive. It is extraordinarily easy to argue that because mouse aiming is much more accurate, mouse and keyboard players will always have an advantage over players using regular controllers. Just because an advantage exists in one place, does not mean there are weaknesses in others. WASD is a terrible mode of movement on the keyboard for most games. Both controllers and the mouse and keyboard have their advantages in gaming, and that should be reflected on the Xbox One. In games like PUBG where pro-gamers like Shroud are racking up dozens of kills against players on PC, there is an equal playing field controls-wise. If gamers like Shroud have the ability to play as well on console as they do on PC, its clearly indicative that their control scheme is giving them an advantage. If Bluehole, developers of PUBG, decide that mouse and keyboard should be banned from use in their game on Xbox One, that’s perfectly reasonable because there is a feasible advantage gained through that control scheme. Nevertheless, there are still plenty of shooters where a mouse and keyboard could be on an equal playing field from consoles. An example is Gears of War, which not only implements aim assist for console players, but also has a gameplay style which prioritizes reaction times and tactics way over extremely precise aim, which means your control scheme will not put you at as much an advantage it could in other games. Additionally, the means of controlling a game are not necessarily what makes you good at games. An example of this would be the Twitch streamer RockyNoHands, who is paralyzed from the neck down but uses a controller called the Quadstick to play PUBG with only his mouth to control his movements and rack up plenty of those delicious chicken dinners. While it’s very easy to support increased accessibility to mouse and keyboard on console, the idea of disallowing all mouse and keyboard/input conversion devices is nonsensical. It’s good to give Kaplan the benefit of the doubt though, as he likely did not expect the in-between Microsoft has created in terms of blocking control schemes. Jeff does accidentally make one important point on the accessibility of mouse and keyboard. When he says manufacturers should make mouse and keyboard support much more accessible, he’s absolutely right. This control scheme could turn around the success of the Xbox One by making it more viable as a platform for tons of gamers. The Xbox One has an issue creeping up on it in the form of the PC. As Microsoft continues to add more gaming support to Windows 10, getting a PC becomes significantly more enticing than buying an Xbox, both for price reasons and because a PC can do a lot more than an Xbox. By supporting and fostering the growth of mouse and keyboard use on the Xbox One, Microsoft can create an environment in which the Xbox One is as competitive a platform as the PC, and also functions as a budget gaming platform with all the power and quality of control of the PC. On top of making the Xbox One viable again, Microsoft is making cross-play more and more common. Providing everyone on Microsoft’s platforms with the same options would create an incredible ecosystem in which gamers can play with the way they want to. The Xbox One is a great console, and Microsoft is handling its hardware perfectly. This decision to let developers control the mouse and keyboard in their games is a smart one and it would be fantastic for the console if Microsoft continues to support both developers and gamers in such a balanced way.